← The new £150,000 Bentley 4×4 which comes with space for a picnic set. Those sandy hills and rocky streams aren’t going to scale themselves this summer, so we’ve created a list of the ten best 4×4 off-roading vehicles available on the market right now. From brand new pick-up trucks to boulder-crawling SUVs, these are the best cars you can drive off the lot and straight to the desert right now. Don’t forget to pack water. 2014 Chevrolet Silverado: A true American classic returns, better than ever with the 2014 Silverado that excels in off-road situations. 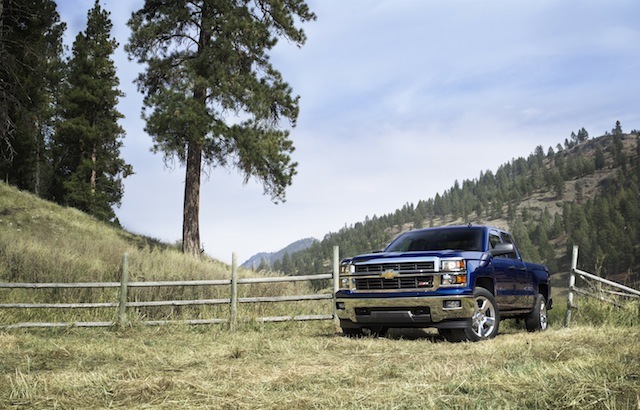 Thanks to new technology like Hill Start Assist and Hill Descent Control, the 2014 Chevrolet Silverado handles steep slopes with ease. It’s got more than enough guts, too – the LT Z71 4WD offers a 4.3L V6 engine with 285 horsepower and 305 lb.-ft of torque for $40,525, while the LTZ 4WD boasts a 5.3L V8 with 355 horsepower and 383 lb.-ft of torque from a $43,380 price. We can’t wait to see how enthusiasts turn the capable Silverado into full-blown rock crawlers. 2013 Ford F-150 SVT Raptor: There are an endless number of variations on the Ford F-150 truck, but without a doubt, the SVT Raptor is the most extreme of the bunch. With wide and aggressive body panels, suspension built for rough terrain and a throaty 6.2L V8 engine with 411 horsepower and 434 lb.-ft of torque, the SVT Raptor is a racecar for the sand dunes. It isn’t completely comfortable on smooth city streets, like a mohawked punk rocker being forced to sit through a Kenny G concert. Through some trees and boulders in its way, though, and the SVT Raptor comes alive. 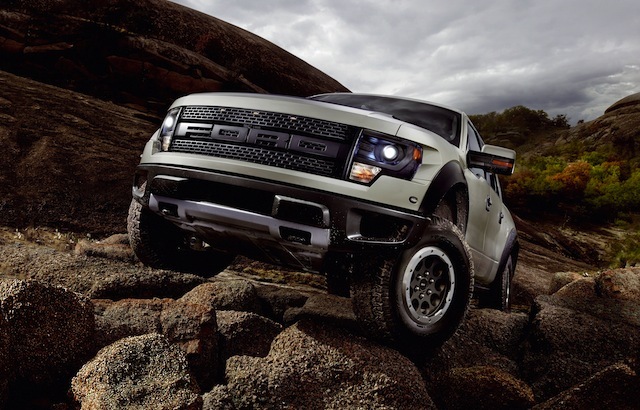 At about $44,000, the Raptor is an expensive weekend toy. But when you really need to fly through the air in a roaring pick-up, there’s simply nothing better. 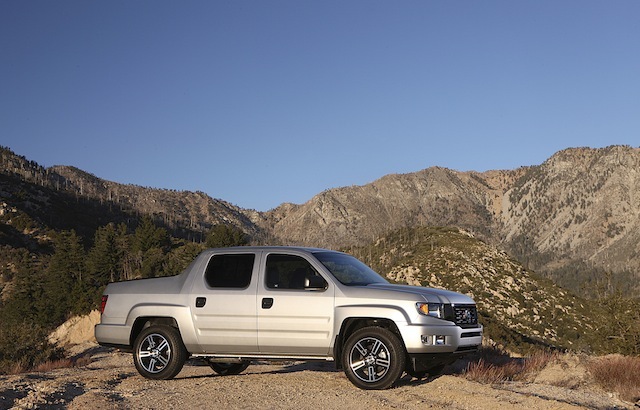 2013 Honda Ridgeline: Turns out, the 2013 Ridgeline is one of the best off-roading vehicles on the market almost by accident. With a comfortable ride and tons of cargo space, the Ridgeline is better suited for family use than serious trekking. But on the other hand, its excellent steering and standard all-wheel drive sure come in handy. The only engine available is the Honda 3.5L V6 with 250 horsepower and 247 lb.-ft of torque, and with such a large body, low-end power can be an issue – though it helps the Ridgeline achieve 15/21 MPG on the road. The 2013 Ridgeline will be the final version until a full revision in 2016, so expect Honda to fix those complaints in the future. Available from $29,450 for the base RT, $30,195 for the Sport up to $35,030 for the top-level RTL, the Ridgeline is a playful SUV than can be driven straight from soccer practice to the sand dunes. 2013 Jeep Wrangler: There may be newer models on this list. There may be fancier, flashier and more luxurious models on this list. But when it comes to sheer versatility and ruggedness, there is absolutely nothing like the Jeep Wrangler, and the 2013 Rubicon is the best of the bunch. Available with two doors for $30,695 or four from $34,295, the 2013 Wrangler Rubicon is the most capable off-roader that you can roll off a dealership floor. Powered by the 3.6L Pentastar V6 engine with 285 horsepower and 260 lb.-ft of torque, the 2013 Wrangler Rubicon is ready and willing to go anywhere at any time. Jeep took their tried and true Wrangler chassis, and affixed off-road necessities like heavy-duty rock rails, Dana 44 front and rear axles and 32-inch BFGoodrich mud tires. The best off-roading SUV is the one you build yourself, but the 2013 Wrangler Rubicon is the best one you can buy. 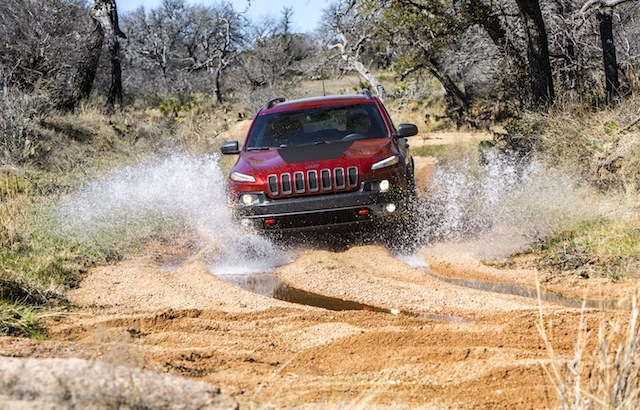 2014 Jeep Cherokee Trailhawk: No one should be doubting Jeep’s credentials when it comes to off-roading, and the 2014 Cherokee Trailhawk is the latest and greatest example that the brand knows what it’s doing when the path gets tricky. The Trailhawk is the most capable version of the new Cherokee SUV, thanks to an extra inch of ground clearance and standard Jeep Active Drive Lock and locking rear differential. Oh, it also looks cooler. The Trailhawk may seem underpowered with a 2.4L Inline-4 engine that makes 184 horsepower and 171 lb.-ft of torque, but its tried and true capability makes the most out of its juice. On the road, a nine-speed transmission even helps the 2014 Trailhawk make 31 MPG highway. Pick yours up from $29,495. 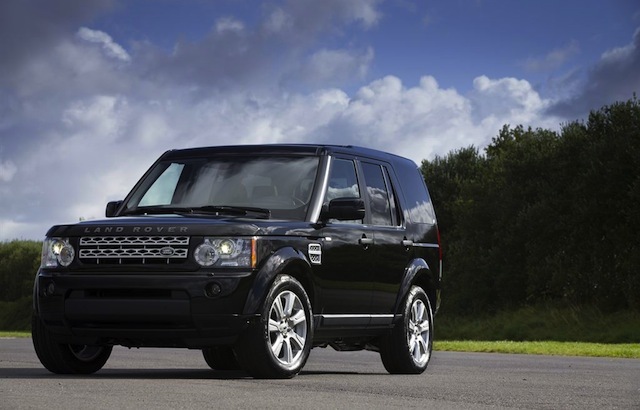 2013 Land Rover LR4: Think of this as the upper-class Wrangler; it’s not necessarily better, but it sure wears nicer clothes. The 2013 LR4 is the latest in a long line of Land Rovers that can tackle anything on or off the road – you know, like the Range Rover used to. The LR4 has tons of power and capability, but doesn’t skate by on its engine. Air suspension controls ground clearance to your liking, four-wheel drive is standard along with locking center differential, and Terrain Response adapts performance to the ground surface whether its mud, gravel, grass, snow or rocks. Clearly, the LR4 has the basics down, which makes its gutty 5.0L V8 engine with 375 horsepower and 375 lb.-ft of torque icing on the cake. Is it wrong to call a one-dimensional SUV for $49,000 a bargain? 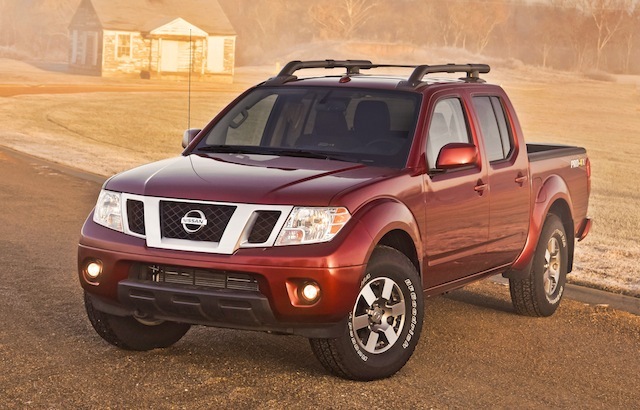 2013 Nissan Frontier: Whereas its Titan big brother has the longer wheelbase and more power, the Nissan Frontier compact truck is much more nimble and versatile once the paved roads get hairy. The Frontier combines direct steering and an agile chassis that make it among the best off-roaders in its class. Spring for the PRO-4X for best off-roading results, available from $29,030 with a manual transmission, because that trim boasts goodies like Bilstein shock absorbers and speed-sensitive power steering to better suit your rocky adventures. The 4.0L V6 engine packs 261 horsepower and 281 lb.-ft of torque, more than enough to get the most out of your weekend. 2013 Ram 1500: Everyone is loving on the 2013 Ram 1500 right now. It was named the 2013 Truck of the Year, and Consumer Reports just named it a better buy than its Chevrolet and Ford counterparts. Sales aren’t bad, either. Sadly, off-roading is the one place where the Ram has fallen off a bit. That’s because they stopped making the insanely-awesome Ram Runner back in 2012, leaving rock-crawling enthusiasts with only the Ram 1500 to choose for the 2013 model year. 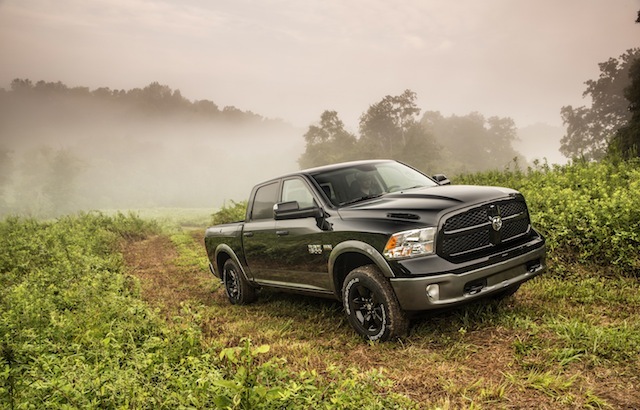 While that’s kind of a drag, it’s not the worst thing in the world: The 2013 Ram 1500 is very capable in unpaved situations, thanks to a truly tough frame, powerful engine and adjustable air suspension. Four-wheel drive models start from $26,660 and sport the vaunted 4.7L V8 engine with 315 horsepower and 330 lb.-ft of torque, or a monstrous 5.7L V8 engine with 390 horsepower and 407 lb.-ft of torque. They don’t call it the Ram for nothing. 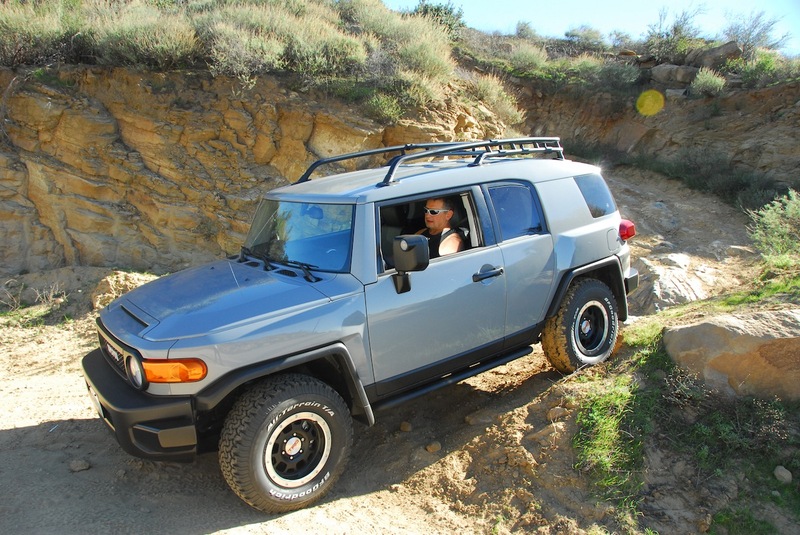 2013 Toyota FJ Cruiser Trail Teams Special Edition: Step One: Take a perfectly capable off-road SUV. Step Two: Make it more awesome. That’s how we came to have the 2013 FJ Cruiser Trail Teams Special Edition, which takes the inherent versatility of the FJ Cruiser and adds a litany of new features to make it trail-ready for any occasion. Gone is the bright white top, replaced by a full cement gray color scheme that looks like a battleship. Added are BFGoodrich All-Terrain tires, beefed-up suspension and locking rear differential, plus Active Traction Control and Crawl Control. This comes at a premium, as the Trail Teams Special Edition is very limited and costs $41,495. But with all that technology and a 260-horsepower 4.0L six-cylinder engine with 271 lb.-ft of torque, the 2013 FJ Cruiser Trail Teams means nothing is out of bounds. 2014 Toyota Tundra TRD 4×4 Offroad: The truck will be new, but the attitude is very familiar. 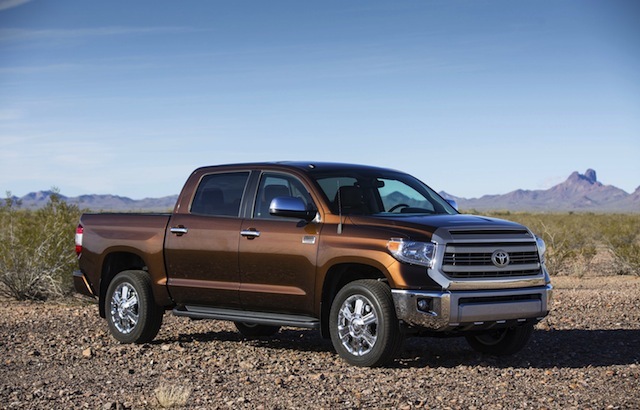 Toyota is rolling out a new 2014 Tundra this year, but the same TRD Offroad package that endeared the truck to a generation will be offered again so new fans can experience the joy of conquering nature in a pickup. This time, they’ll be more comfortable in the process. Bilstein shocks are standard on the TRD Offroad package, and Toyota has tuned them to be more forgiving. That shouldn’t hurt the performance, however, because the TRD Offroad package still comes with larger tires and the standard 5.7L V8 engine with 381 horsepower and 401 lb.-ft of torque can get you through any situation. Pricing isn’t available yet, and the 2014 Tundra is only now rolling off the assembly line. Keep your eyes peeled for the truck that could have the F-150, Silverado and Ram playing catch-up. This entry was posted in 4x4 News. Bookmark the permalink.